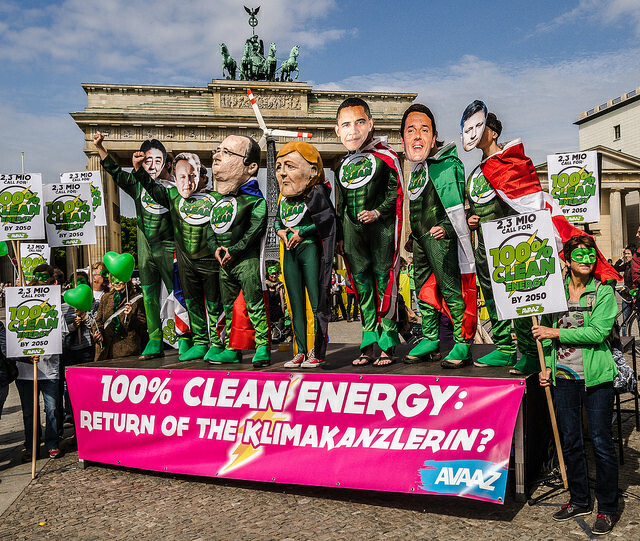 Avaaz - From G7 to Paris: Goodbye Fossil Fuels! 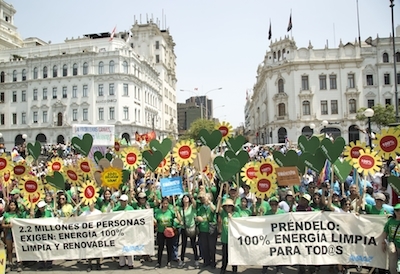 From G7 to Paris: Goodbye Fossil Fuels! G7 leaders just committed to getting the global economy off fossil fuels -- forever! We're one giant step closer to a huge win at the Paris summit in December - where the entire world could unite behind the same goal. Let's share encouragement and wisdom for the road ahead, and celebrate a battle won!! 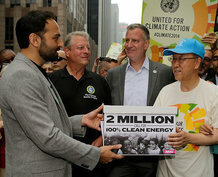 Step 1: For 2 years our community has led global public mobilisation for this goal, spearheading the gigantic, momentum-shifting, almost 700,000 strong People’s Climate March, getting 2.7 million signatures on a petition for 100% clean energy, sending a quarter of a million messages to climate ministries around the world ahead of key talks in Lima, and dozens of rallies, meetings, polls, and ad campaigns (all funded by our community) that pushed for ambitious national and global emissions reduction targets. Step 2: Focus on the French - As the chairs of the Paris summit, the French government role in the G7 was crucial. We repeatedly met with French President Hollande, Deputy-Prime Minister and environment minister Royal, foreign minister Fabius, and other cabinet members to deliver our members' voices and make the argument for the long term goal. Step 3: Hundreds of Avaazers followed Merkel on every step she took in the weeks before the summit. 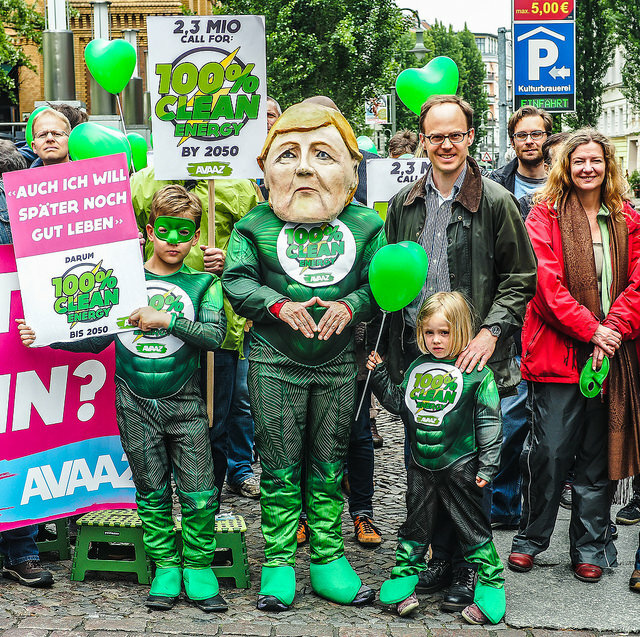 From Hamburg to Berlin all the way to the G7, we chanted and inspired her to be the Climate Chancellor. Merkel recognised us and couldn’t help smiling, the media loved it and our heroes flew out through the news across the planet! 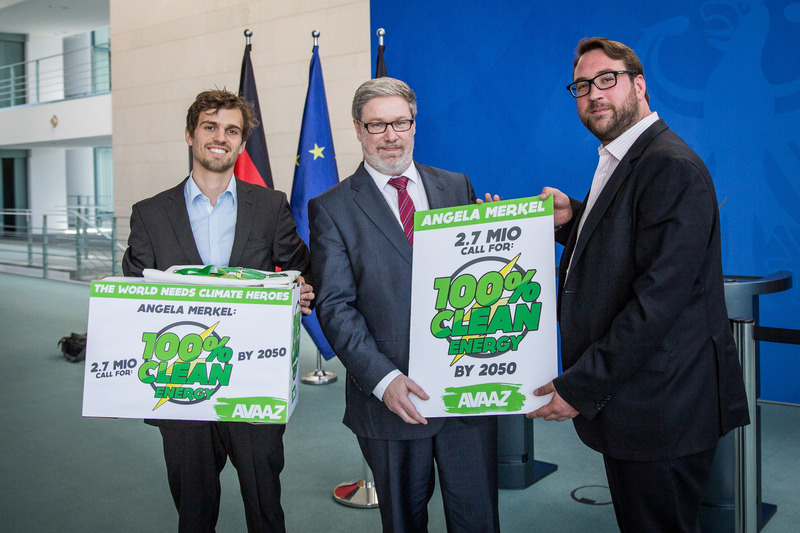 Step 4: We personally delivered our 100% clean energy petition to all the decisive ministers in Merkel’s Cabinet, and the whispers that we’re serious about this got around to her office. Step 5: We called out the blockers in Japan and Canada. This outcome was never in the bag -- it wasn’t clear the G7 would even focus on this issue months ago, and blockers in Canada and Japan looked poised to bring down the deal we needed. Our Japanese community sent tons of messages to their government, and we raised hundreds of thousands from small donations around the world to pay for a massive ad in the Financial Times, opinion polls and a viral ad in Canada that was viewed over 450,000 times in less than 2 days on Facebook and YouTube! 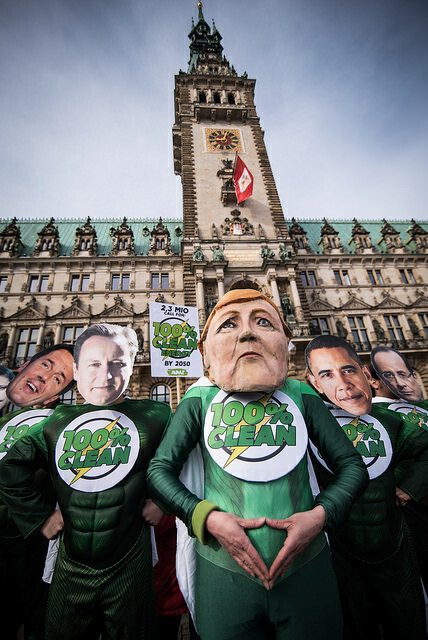 Step 6: At Merkel’s personal request, we met with her chief climate adviser just before the summit. We got to explain to him in detail what these 2.7 million Avaazers wanted from the Chancellor. 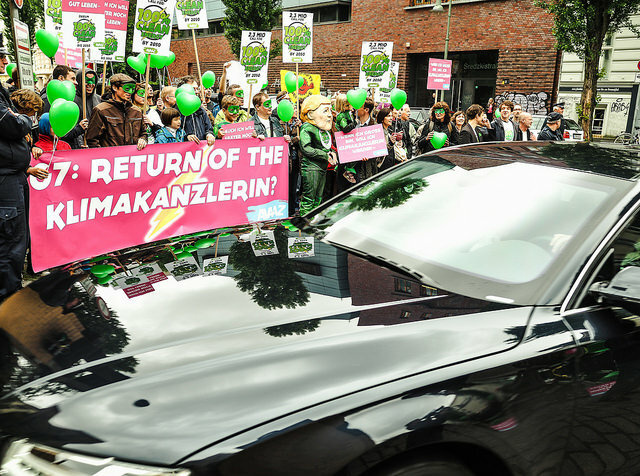 Other insiders told us that knowing that a mass movement like ours had her back, and that they'd get praise for progress and not just criticism for failure, really did matter to Merkel and other leaders' willingness to fight hard for this goal! Step 7: We didn’t let up for a second. We worked with Mark Ruffalo (The Hulk!) 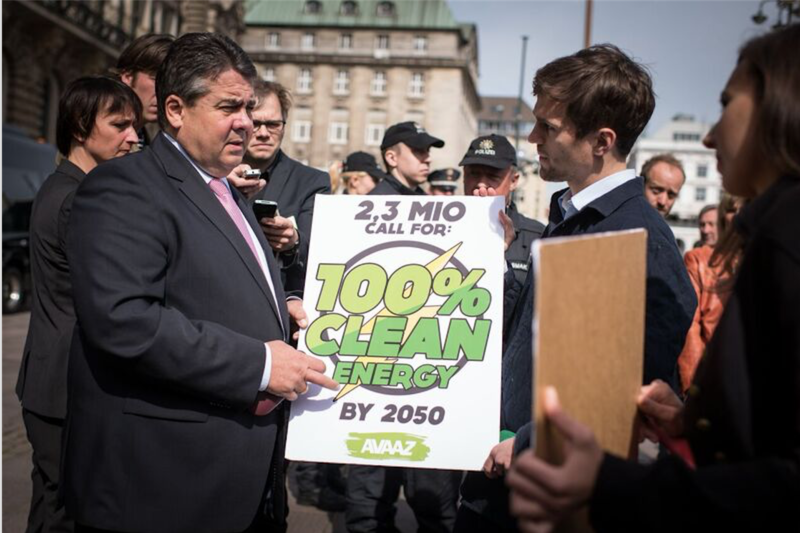 and grew our 100% clean energy petition to 2.7 million signers over the last few days, briefed journalists at the G7, asked questions at press conferences, and spoke to one of Merkel’s secretaries to make this a priority. 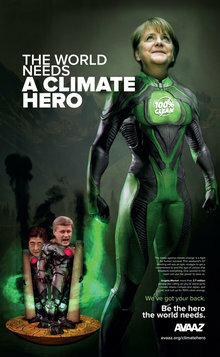 And now, with Merkel's and French President Hollande's leadership, we have a true climate victory worth celebrating! But with hope, and good strategy, (the Avaaz effect:)), and the efforts of many leaders like Merkel and Pope Francis, and organisations like our friends at 350 and the Guardian newspaper's work on fossil fuel divestment, as well as killer research from groups like the World Resources Institute, most experts now believe the tide is turning, and momentum is building to get a global deal in Paris this year that will set the world on course to a solution. There’s still a long way to go, and the whole world needs to get on board. So we’ll keep pushing. 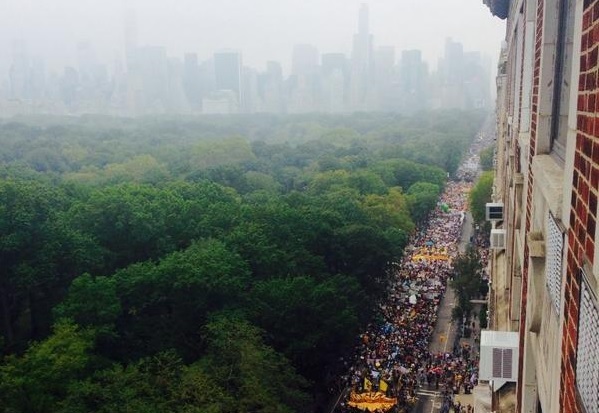 That means a million on the streets for the People's Climate March 2015, continuing to show up at international meetings to defend our goal, killer lobbying and advocacy, more national-level work to stop blockers, and building up more heroes to join Merkel. 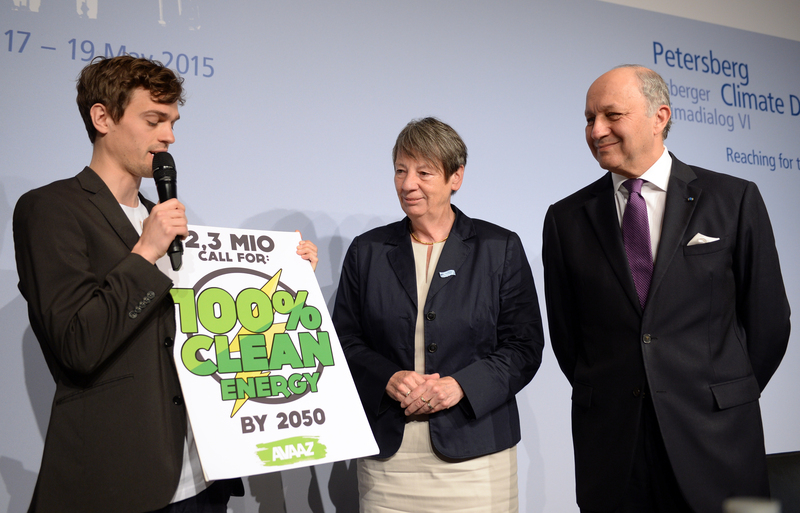 PS: Read more about the journey to Paris on our climate blog.